Walking your dog two or three times a day is one of the most important parts of being a responsible dog owner. However, the responsibilities of working in a fast-paced city such as Cypress mean that this is not always possible. And when you factor in additional family or personal relationship tasks, it can often be difficult to find sufficient time in the day to get your dog all the activity he or she may require. However, that is where we come in. With vast amounts of experience in solo and group dog walking, the professional team at Fireplug Bed & Bath should be the first number you call to ensure your dog receives their daily dose of cardiovascular activity. For our team of pet care professionals, dog walking is something we take very seriously. So, if you want the best for your furry friend, then why not give us a call today. With convenient walking times, affordable prices and an unrivalled reputation, you’ll be glad you contacted us. We look forward to hearing from you soon! 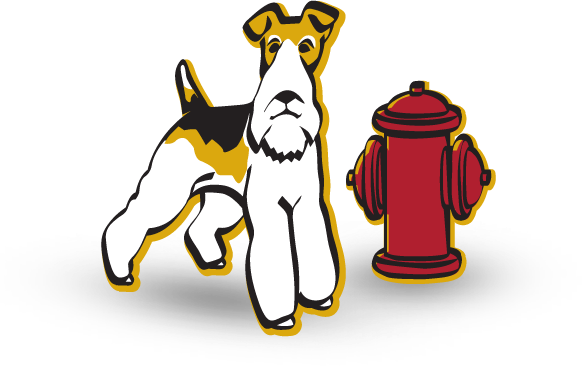 At Fireplug Bed & Bath your dog’s safety is our number one priority. It is for this reason that we guarantee their well-being when they are on a walk with us. Our trained and certified dog walkers are capable of navigating many dogs at once and will always take the utmost safety when approaching traffic or other dangerous spots. On top of that, we also always select routes that are both familiar to your dog and ones which allow him or her opportunities to roam more freely such as parks and river banks. As any dog owner will tell you, a walk is generally your furry friend’s favorite time of day. At Fireplug Bed & Bath we believe your dog should always return home from a walk feeling better and more relaxed than they did before leaving. Regular walks are crucial for dogs physical and emotional health and help regulate sleeping and eating patterns. However, on top of that, walks with us are generally great adventures. So, whether it is a solo trip to the park or a group visit to the river, a walk with Fireplug Bed & Bath will soon become the highlight of your dog’s day. At Fireplug Bed & Bath we offer solo and group dog sessions. The solo-based option is generally for younger dogs who might need a little more training before they can be integrated into a bigger group setting. There is no doubt that the socializing element of group dog walking is extremely beneficial to dogs of all ages. Interacting with other dogs of different breeds and gender ensures that your dog’s body and mind is both healthy and balanced. It is also guaranteed to remove excessive energy. As the saying goes, a tired dog is a well-behaved one.